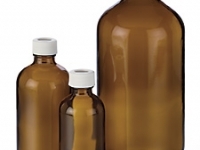 Sizes range from 125ml to 500ml, available in clear or amber glass complete with Polypropylene closed top caps with PTFE liners. Sizes range from 125ml to 500ml, available in clear or amber glass complete with Polypropylene open top caps with PTFE / Silicone septum. 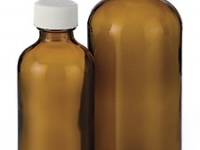 Sizes range from 125ml to 500ml, available in clear or amber glass complete with Polypropylene closed top caps with PTFE / silicone septum.